Newcastle Brown Ale Bottle is a popular Ale available from Tesco Groceries in 550ml to buy online. Visit Tesco Groceries for the best price for 550ml of Newcastle Brown Ale Bottle or compare prices on our other Ale products. Originally created to be the perfect easy-drinking ale the founder of the company spent 2 years developing the beer. The mellow beer has a slight sweet aftertaste that combine to provide what the founder was looking for. The beer is a firm favourite being exported to over 30 countries in the world along with being a massive hit in the United States. A great easy to drink ale. Where to buy Newcastle Brown Ale Bottle ? 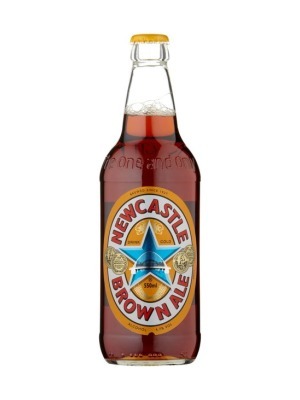 Newcastle Brown Ale Bottle Supermarkets & Stockists. You can buy Newcastle Brown Ale Bottle online in most retailers and find it in the Ale aisle in supermarkets but we found the best deals online for Newcastle Brown Ale Bottle in Tesco Groceries, DrinkSupermarket.com, and others. Compare the current price of Newcastle Brown Ale Bottle in 550ml size in the table of offers below. Simply click on the button to order Newcastle Brown Ale Bottle online now.